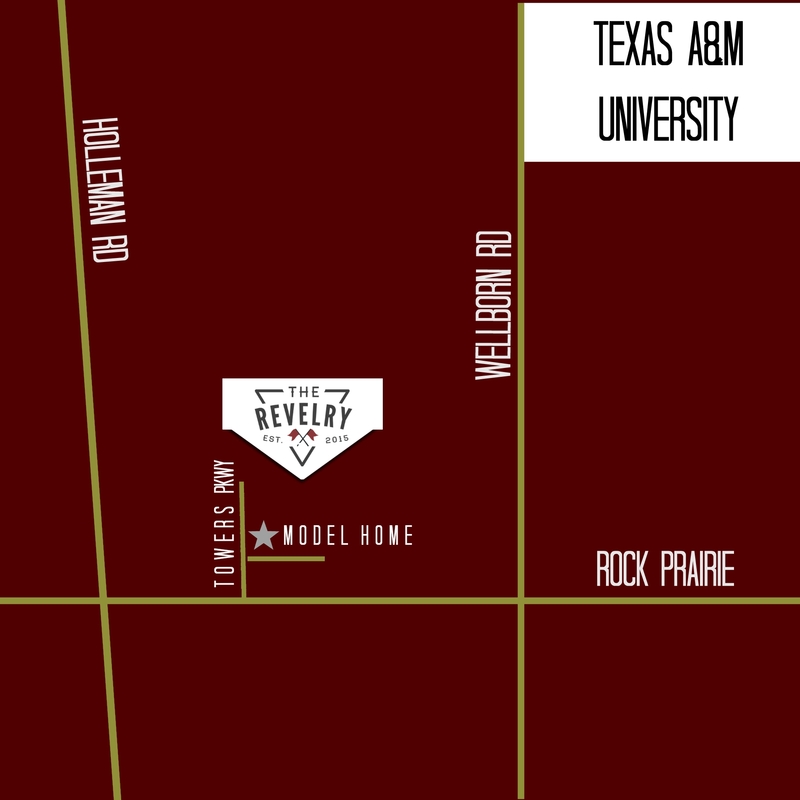 Welcome to The Revelry — the newest student living experience in College Station, Texas. We have everything you’re looking for in student housing, just 2.7 miles from the Texas A&M University campus! With three- and four-bedroom floor plans available, you’ll find the perfect place to call home at The Revelry. Plus, each unit in our townhome community includes an individual two-car garage and yard, so you have plenty of space to call your own! In College Station, football is king, and we are just down the road from Kyle Field — with views from select units. Invite your friends over and hang out by the pool after the game. Since joining the Southeastern Conference (SEC), the Texas A&M football team has been looking great. So join in and be a part of the 12th Man tradition and help cheer the Aggies on to victory! Your studies come first at A&M, but there’s still a lot of fun to be had around College Station! Check out events happening on campus and around Bryan-College Station throughout the year by visiting the TAMU website and visitaggieland.com. Of course, don’t miss out on some of the iconic A&M hot spots like the Dixie Chicken. Texas A&M is one of the friendliest universities in the nation, an honor we continue to hold thanks to our historic traditions. From our Aggie rings to our love for Reveille, we always hold TAMU in high regards. Help us make The Revelry the newest tradition when you and your friends join us today! Our upscale community has everything you need to make the most of your time at Texas A&M.